Electronic stability control is standard in most European countries but optional on some variants in some countries. Seat provided information to show that it will meet Euro NCAP's fitment requirements for 2011, and the system passed the test requirements. A seatbelt reminder system is standard for the driver, passenger and rear seats. A speed limitation device is not offered on the Mii. The Seat Mii has been scrutinised by Euro NCAP and the car is structurally identical to the Volkswagen up! and has the same interior fittings. 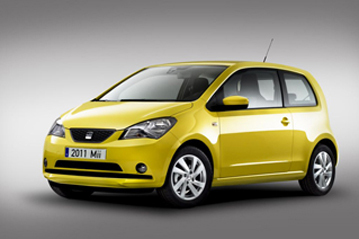 Seat has informed Euro NCAP that the Mii also has the same levels of safety equipment as the up!. Accordingly, Euro NCAP believes that the star rating of the up! can also be applied to the Seat Mii.